Chiropractor Aurora | The Subtle Art of Not Giving a F*@#! The Subtle Art of Not Giving a F*@#! This is the book I am reading right now. I learned a valuable lesson from it today. Not that it is anything new or haven’t heard countless times before, but it struck a cord today. Do you ever get in a funk? Does your energy and motivation ever crash? Do you ever feel…STUCK? When this happens, most of us just sit in lethargy and wait around until we get inspired enough to be motivated to take action. That is totally backwards thinking. I know. I do it all the time. 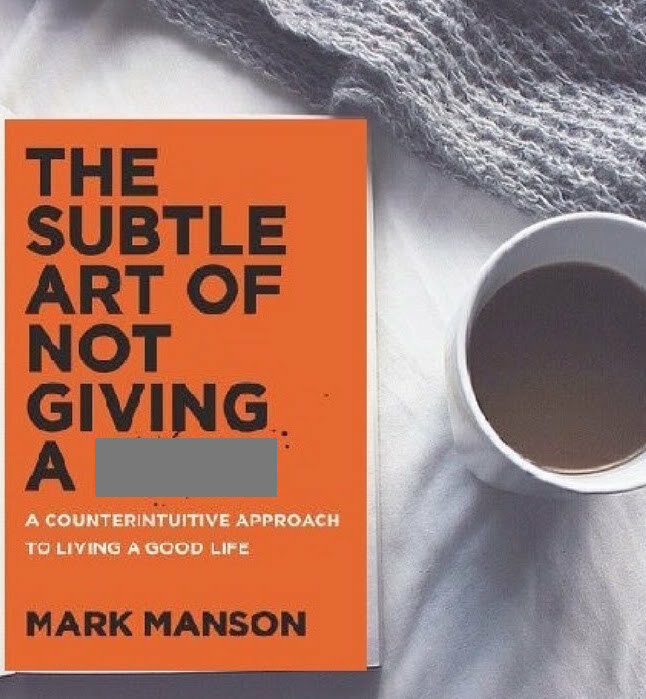 In Mark Manson’s book titled “The Subtle Art of Not Giving a F*@#!“, he spells it out clearly. When we take action and get stuff done (even the simplest action! ), we feel good about ourselves. We feel empowered and in control. This sense of control, that we can actually move forward in our lives and accomplish things, produces inspiration. Sometimes, even just the tiniest amount of inspiration will give us the motivation and the positive self-outlook that contributes to taking further action. It becomes a self-perpetuating loop that fuels itself. Before we know it, we are moving forward in our lives with purpose and momentum. It often just takes the willingness to overcome the hurdle of that first action. It worked for me this morning. My wife, Dr. Shawna, is traveling to California for a conference. We were up at 3:45am today. When she left, I could not get back to sleep, so I started reading and decided to take advantage of a few extra hours before the kids wake up. I read for 30 minutes, outlined my Facebook Live video topic for later this morning, reviewed the workshop content that I am teaching tonight (sidebar – if you haven’t attended a Think By Design workshop yet, let me know), planned my administrative morning at the office, wrote this blogpost, and now I am off to put dinner for the kids in the oven on timer since I will be home late from work. The result? Loads of extra energy and inspiration to take additional action and accomplish a ton today before seeing patients.